Elissa Goodman is a holistic nutritionist and cleanse expert based in Los Angeles. Elissa discovered that food and self-love was the key to health and happiness from a bout in her thirties with Hodgkin's Lymphoma. She espouses a clean, preservative-free diet—filled with fresh produce and high quality products—and emphasizes the importance of daily de-stressing activities including soul searching. 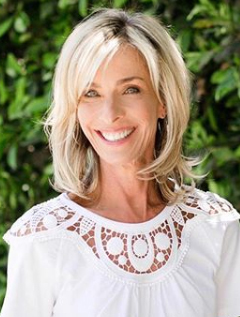 In addition to running her practice, Elissa is the creator of M Café's macrobiotic REST Cleanse and signature juice blends at Erewhon Natural Market.